The Saint Andrew Parish in Pasadena is the second oldest in the Los Angeles Area. Its current church building, constructed in 1927 and modelled after Santa Maria in Cosmedin in Rome, is one of the finest in the Western United States and a key landmark in Old Pasadena. In the last years, the school and the ministries of the Parish have experienced rapid growth. This project is about accommodating the social activism of the church and consolidating its service to the Pasadena community. 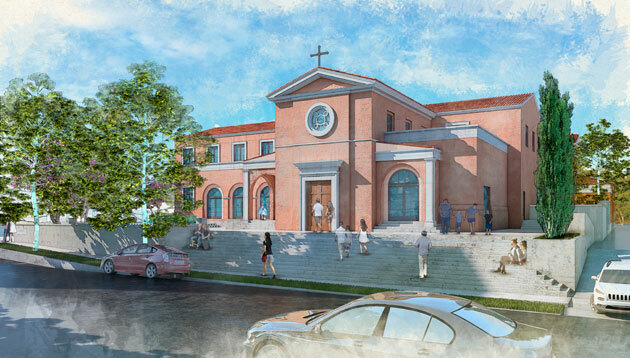 The design of the 25,000-square-foot facility responds to a varied program of current needs, that includes a gym, chapel, meeting rooms of various sizes, and new parish offices. These are organized in a distinctly regional form, with multiple buildings arranged around a cloister and various courtyards. 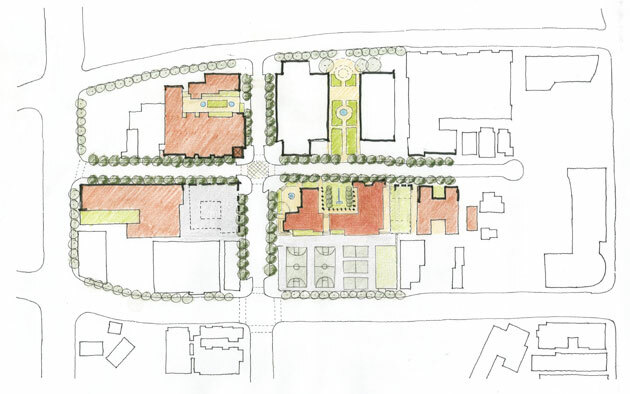 Along with what is already in place, the project generates an identifiable St. Andrew campus for the first time. Its physical and symbolic presence connects the church to the adjacent city and fully engages its people.